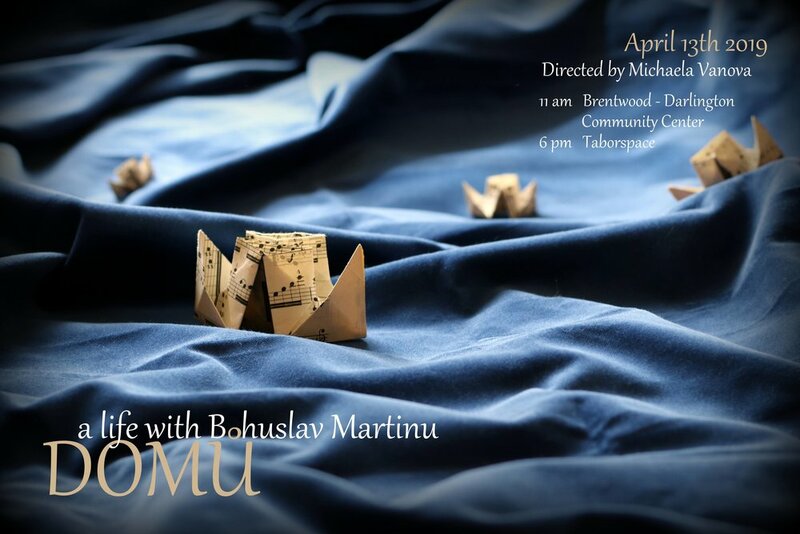 Please join us for a theatrical and musical performance for children and their families, introducing the renowned Czech composer Bohuslav Martinu. With the help of audience participation, the story is told through the eyes of Martinu’s wife, Charlotte, who provided unwavering support to her husband in the many places they called home. Charlotte created a home for Bohuslav in Czechoslovakia, France, USA, Italy, Portugal, and Switzerland. But how, exactly, do you make a home? And what does it really mean: home? A place where you were born, or a place where you live? A place where you feel safe? Are we at home where friends and family are? These questions remained with the composer and his wife throughout their lives. Join us to see, to contemplate, and to listen as we attempt to define home with the help of Charlotte and Bohuslav Martinu. What does home mean to you? Right after the performance, everyone is invited to experience being a composer during a short workshop. And if you wish, you can have your composition pieces performed by the musicians!